April 15, 2018 May 10, 2018 Categories makeupfashion trend, fresh makeup, glass skin, glazed skin, glowy skin, holiday makeup, inspiration, korena makeup trends, makeup forever, makeup products, makeup trends, makeup tutorial, party makeup, sam marcel, spring - summer 2018 makeup, spring 2018 makeup trend, vacation makeup10 Comments on Glazed Skin: The new way to wear your complexion! The most important step for glazed skin is to have a good base, caring for your skin is of utmost importance to have a beautiful glazed finish. This is not the kind of makeup that will help you hide imperfections…in fact, you are going to put forward your healthy skin. Face scrubs, regular facials, a good skincare routine and of course a balanced diet are key factors in achieving great skin. Start by spot correcting, apply your concealer on the undereye area, sides of the nose etc or any other zones that need a light cover-up. Use very little product and using a fluffy brush, make circular motions to blend the product. I used L’Oreal True match concealer. Remember that we are going to layer different products to get the flawless effect we are looking for, be very careful to use a really small amount of product each time. Now using your fingers gently rub a shimmer base all over the face. I used Black Up strobing primer. Now use a water-based light coverage foundation all over the face, this will ensure that the skin is even all over. Use a big fluffy brush with buffing motions to diffuse the product well. I used MAKE UP FOR EVER Waterblend foundation. Now instead of a powder, I am going to use my highlighter palette to fix my foundation base. Sounds fun? It sure is 🤩 this is when you go crazy with a highlighter, without turning into a disco ball. Don’ use a highlighter that has glitter in it. Remember to dose well, start with little product and build it up as necessary by layering on top. Play with different shades, I used the gold on my cheekbones, nose and brow bone. I use the coppery shade to sculpt. The pink shades went on as the blush! With what’s left on the brush, do the rest of the face. It is very very important that you take your time with the highlighter, this is the crucial step to get a glazed skin. Massage the highlighter into your skin, using circular motions. Work it till it looks like it’s your skin. It should not have any powder texture- you will know when to stop working the highlighter when you see that product has completely blended into your skin and gives it almost a glass-like effect. There are many ways to glaze your skin, you can use all cream products, or face oils etc. But I love this method, as it is more long lasting and doesn’t need too much touch up. I used the Sam Marcel highlighter palette. To give this super simple eye look an ultra modern finish I blended the eyeshadow into the eyebrow (at the beginning of the brow). This subtle gesture will make the whole look even more trendy! To finish add a light gloss, I love to keep my lips hydrated nourished and yet have a sweet pink juicy tint! I used MAKE UP FOR EVER Lip Booster – Cinema. 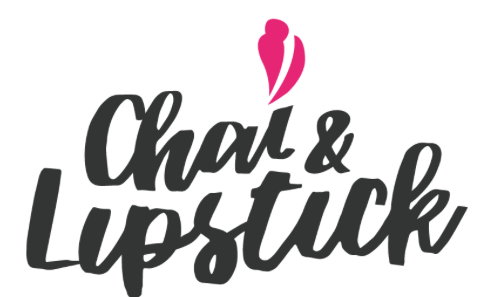 And that’s it guys, I really hope you enjoyed creating this look with me 😊 please do share your recreations on Instagram using hashtag #chaiandlipstick. Here is a little video, as it was really difficult to capture the result well. SUBSCRIBE for updates on all our makeup articles. For daily updates follow us on Instagram – Click Here. Next Post Super easy way to drape a turban! Wow! Glazed skin looks BEAUTIFUL! Your makeup looks flawless! I’m definitely going to be trying the glaze technique! 🙂 Thanks for sharing!